Redmi used to be Xioami’s entry-level brand, but now that it’s on its own it aims to build flagships too – including a Snapdragon 855-powered phone. And this may be it, the Redmi Pro 2, which can be seen in the render below shared on Weibo. The phone has a pop-up selfie camera for a notch-less, hole-less screen. 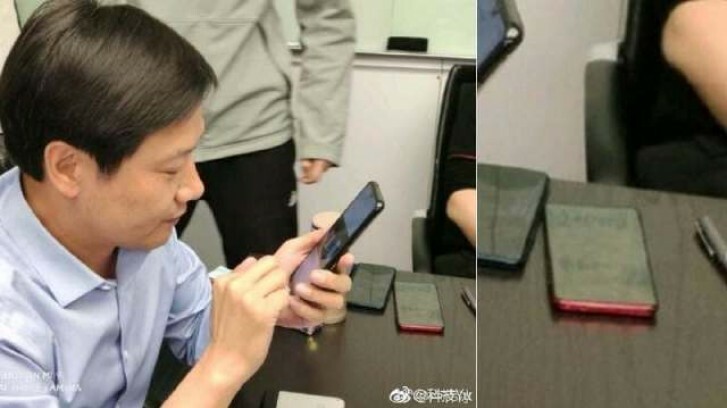 A device matching that description was recently seen in the hands of Xiaomi CEO Lei Jun. 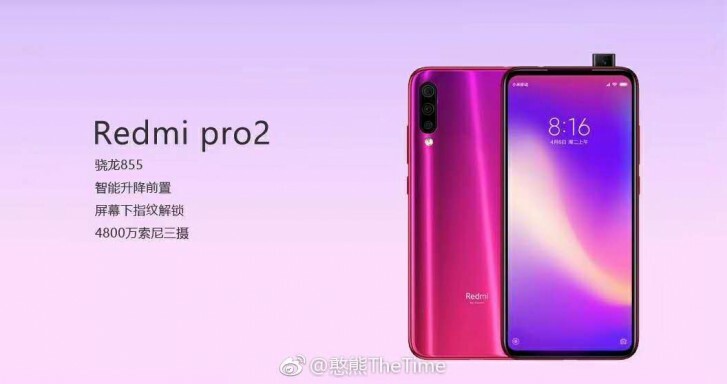 Previous Redmi Pro 2 leaks hinted at a 48MP camera, similar to the Redmi Note 7, though the render shows a triple shooter – this would be a first for Redmi. According to the text in the image, the Pro model will also feature an in-display fingerprint reader, another first for Redmi. The rumor mill has been talking about a Redmi with an in-display FP reader for a while now (Redmi X, Redmi Note 7 Pro), but nothing has proven true so far.